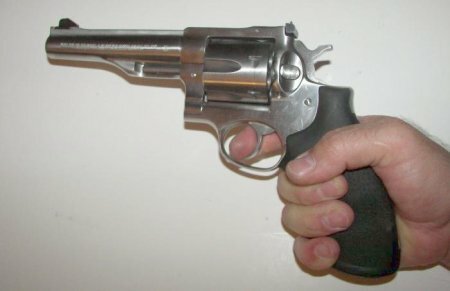 The Ruger Redhawk 44 magnum is a conventional revolver. It is made from high grade steel and is available as either blued or stainless steel. The Redhawk is reinforced to handle extra stress. Some firearms enthusiasts believe it to be the strongest .44 Magnum revolver in its class. That makes it very popular for use by handloaders as it handles the hottest of .44 magnum loads with ease. 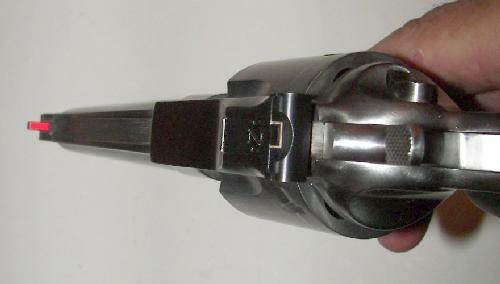 The revolver has forward ramp sites with four interchangeable inserts. The rear sights are fully adjustable featuring a white outline. The Redhawk is also available with scope mounts and rings. You know, to "gun people" it really doesn't matter how many guns you have that you actually use. There will always be those guns that you have because of a particular personal need. Many times that need comes in the form of just having a gun available when you have a need to feel real power in your hand. For me the venerable .44 magnum fulfills that need. And the gun that does it for me is the Ruger Redhawk .44 magnum. The 5.5 inch barrel model is just right for me. I am not a hunter and don't have a need for a longer barrel or a scope on my gun. I have this gun for one primary purpose, when I want to feel like I am harnessing real power in my fist, I take it out and shoot it. 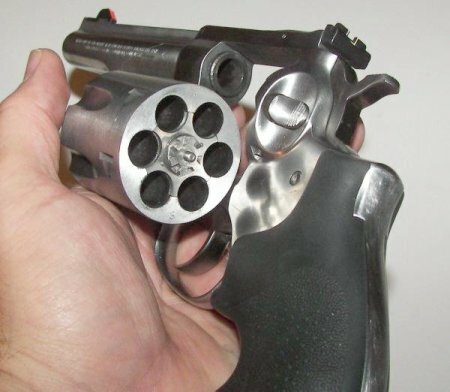 I reload for my .44 from mild 44 special loads to maxed out magnums, this gun will take them all and ask for more. The gun is beefy and solidly built with cylinder walls and other components that make it suitable for handling hot magnum loads consistently. It is well known that if you want a "collector's item" go get a Smith and Wesson model something-29. But if you want a gun that can take years of a steady diet of hot magnum loads, get a Ruger. Ruger has nothing left to prove in the area of durability of their revolvers. I purchased the Redhawk pictured above from a reputable local pawn shop in Fort Smith, Arkansas. The gun had the terrible white plastic sight that I could not see in outdoor light. It also had a set of Pachmayr grips that had seen better days. The gun was scuffed and hadn't been cleaned. But checking the areas that made a difference in the wear of the gun, I determined that the pistol had not seen much use and I purchased it. This gun came with the very worst of the color options for the replaceable front sight - white. I replaced it with a high visibility front red sight (below). 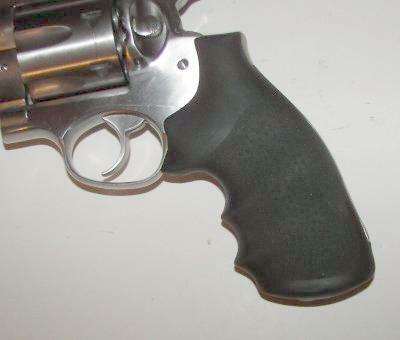 The next thing that had to go was the brittle Pachmayr grips replaced by a finger grooved Hogue grip. Finally, wanting the gun to look as good as I figured it would shoot I used something that I found by accident a while back--3M Marine Finishing Compound that you can purchase at Wal Mart. This is the best stuff I have found for fine polishing of stainless steel. I used it once on impulse when I purchased a matte stainless semi auto .45 that had brown pits in the slide. In an hour I had polished it to what appeared to be a new factory finish. As expected, it worked great on the Redhawk to remove small surface scuffs and shine the gun up to a thing of beauty. So, aside from all my musing above, how does the Ruger Redhawk handle and shoot? Well, like you would expect it to. The size and heft of the gun tames the hottest .44 magnum loads while making the 44 specials feel like you're shooting a 22 magnum. The gun has outstanding target acquisition and handling characteristics. It's accuracy potential is far greater than I will ever be able to wring out of it. However, I've watched in amazement, this gun in the hands of experienced magnum shooters. It will shoot where you aim it if you do your part in grip and trigger control. It is, however, a handful of gun and will not work well for shooters who do not have good strength in their hands and arms. While I am not much of a hunter, I do spend some time in the woods during the winter. But the places where I workout and hike is prime black bear country as well. In the woods where I know bears are present, the Ruger Redhawk 44 will be a comforting companion on my belt. 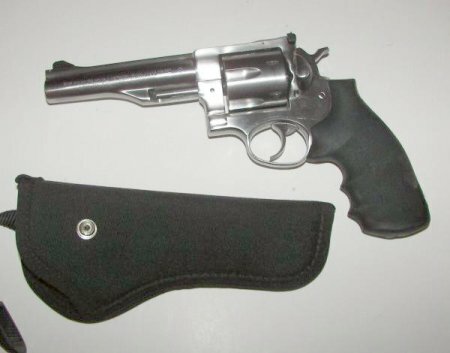 CONCLUSION: Whether for target shooting, hunting, protection in the backwoods or just because you want a really cool wheelgun, you can do no better than the stainless steel Ruger Redhawk 44 magnum.